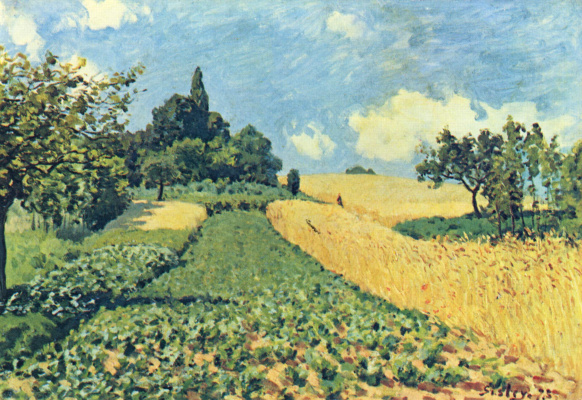 This garden was painted not only by Sisley. 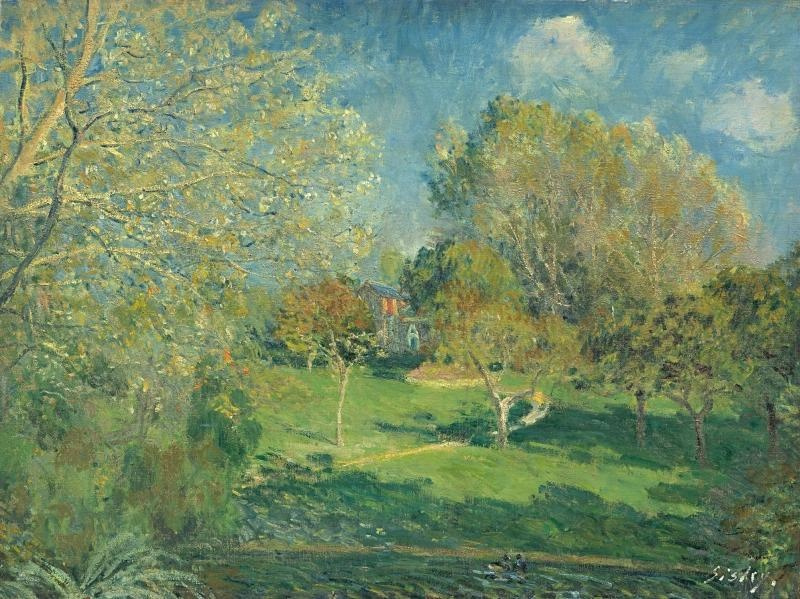 Ernest Hoschedé, the owner of the house with a garden in Montgeron, became one of the first adorers of young impressionist artists. He bought their paintings and this often saved them from hunger. 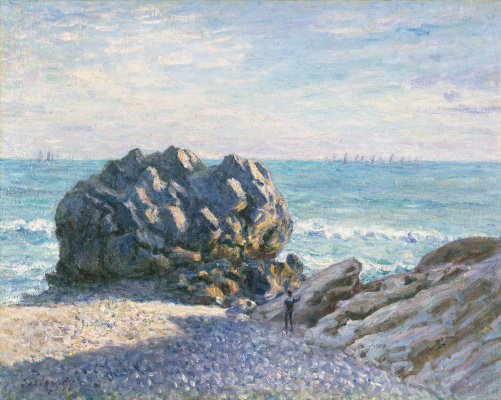 He was also the owner of the legendary “Impression, Sunrise” canvas by Claude Monet, which gave a name to an impressionist movement. 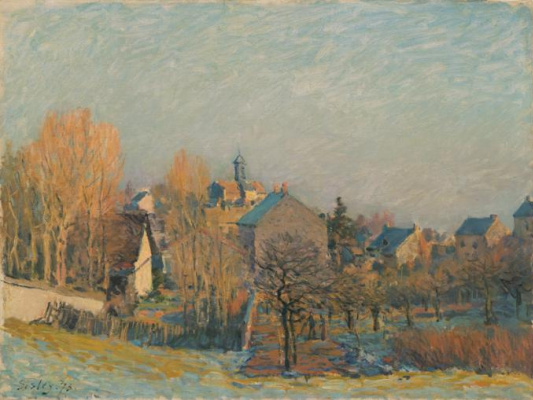 He invited Claude Monet, Édouard Manet and Alfred Sisley to his own estate in Montgeron, they all lived there for some months, painted local landscapes and decorative panels for the huge Hoschedé’s house. The artists had a rest there: a comfortable workshop in the park pavilion, a pleasant company, exquisite food and wine, sun and picturesque places were always waiting for them. Ernest was the heir to a successful business. His parents founded a commercial enterprise and dealt with selling cloths. He had a wife Alice, a rich heiress of the major industrialists, and five children. 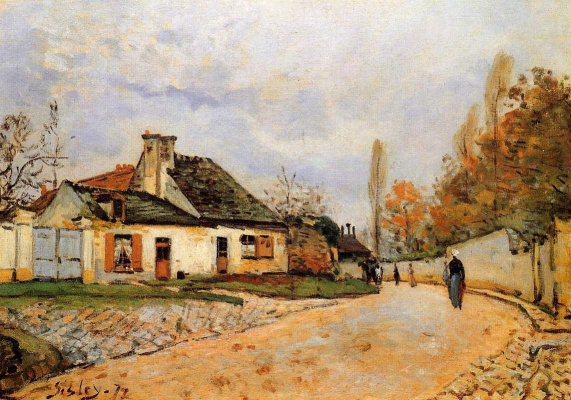 The things were going well until Ernest went broke, ruined his parents’ business and spent their money; and Parisian journalists would write viperous articles about how nicely it was of Claude Monet to shelter the whole family of Ernest Hoschedé in his house, who later became bankrupt buying his pictures. 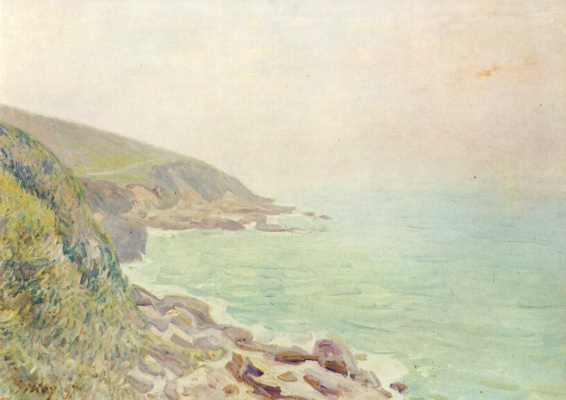 But it was only half-true: Monet really offered Ernest, Alice and their children to rent one house for two families, when Hoschedé had almost no money. But only the unfortunate dealer was responsible for his own ruin. 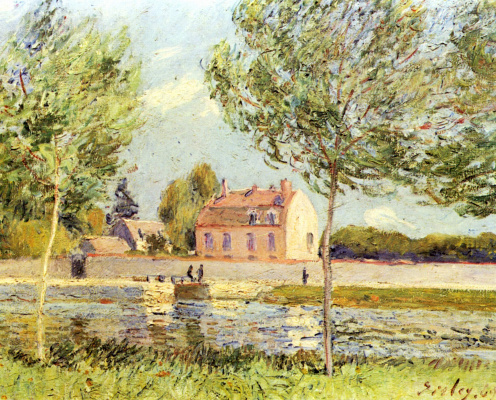 This sunny landscape by Sisley was signed in 1881; by that time Ernest had gone broke and mortgaged his own estate. 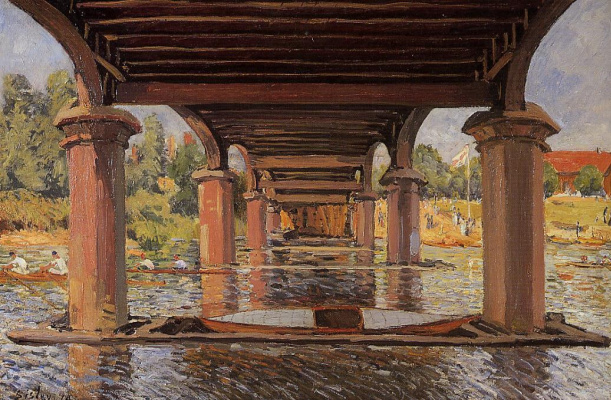 His family lived with Claude Monet at that time, while he traveled a lot enthusiastically making his career of a journalist in Paris. 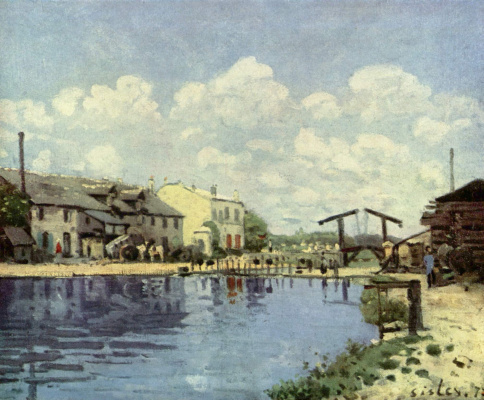 Soon, Ernest’s children started to call Claude Monet their father and a Hoschedé’s wife, Alice, would become Monet’s sweetheart and assistant. 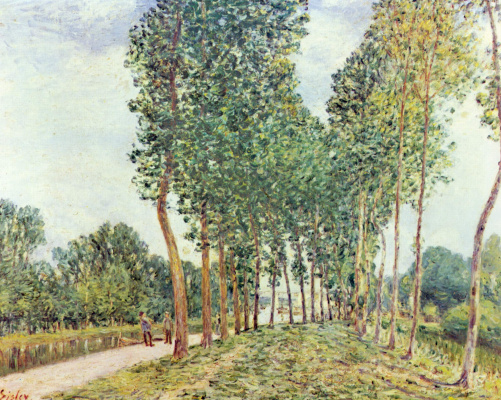 So, Sisley had probably started working on the Garden of Hoschedé some years before Ernest could afford himself buying hundreds of pictures by impressionists; when a carefree life in Montgeron seemed to be endless and a light summer flirt of Alice, with young and talented Claude Monet seemed to be fleeting and frivolous. 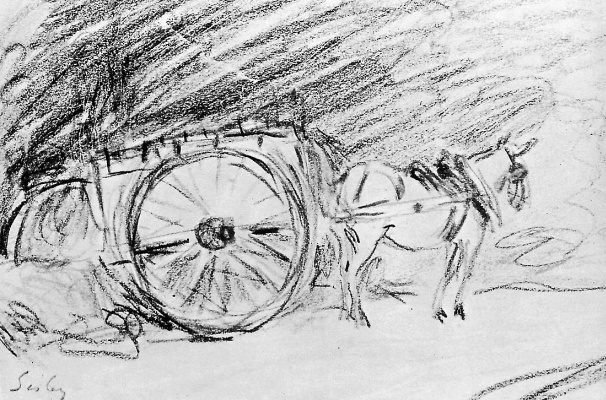 As soon as the sultry lazy shadows reached out the other side of the garden, all this obsession would dissipate.